One of several red-tailed hawks that make the green belt along Coleman Creek in Little Rock’s University District their home. 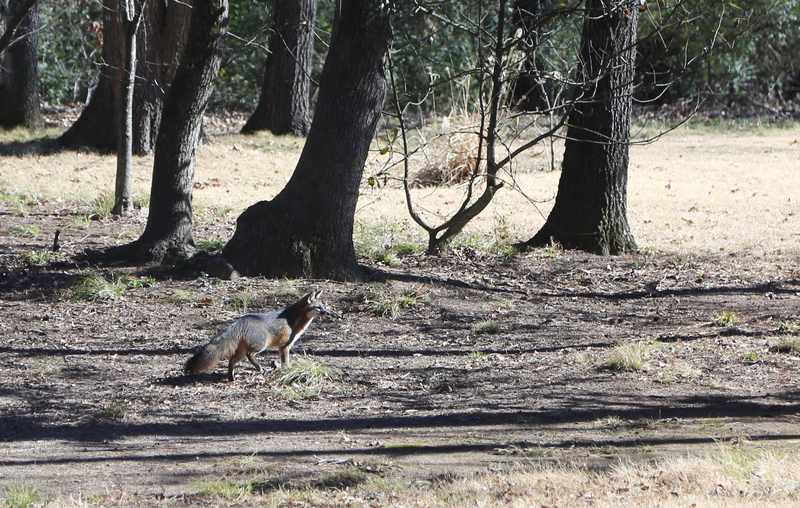 This fellow was probably looking for lunch. 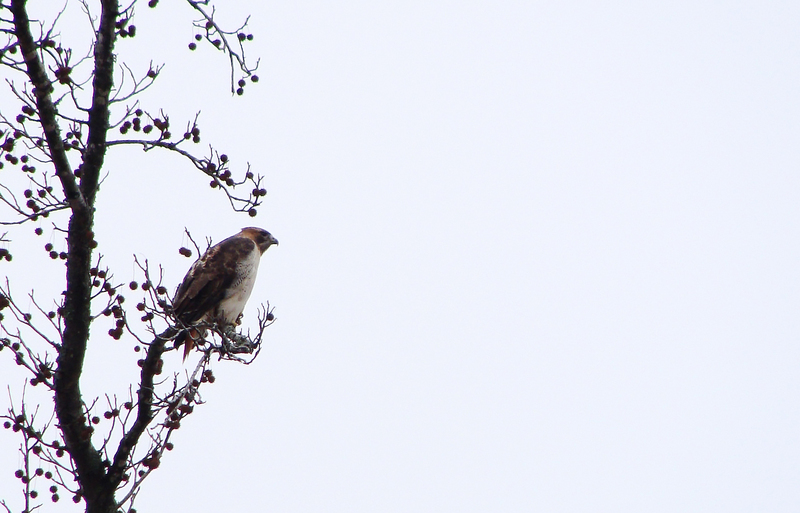 KEEPING WATCH — Red-tailed hawk pauses in a sweet gum tree. LOOKING DOWN — Hawk checks out possible lunch int he brush below. After a few springlike days, winter came roaring back, taking Round 2. The system dropped freezing rain, several inches of sleet and topped it all off with snow. Schools were shut down for days and traffic stopped on I-40 and I-55 in northeastern Arkansas. The heavy winter layer took all the joy out of the daffodils in back of the office. So sad. 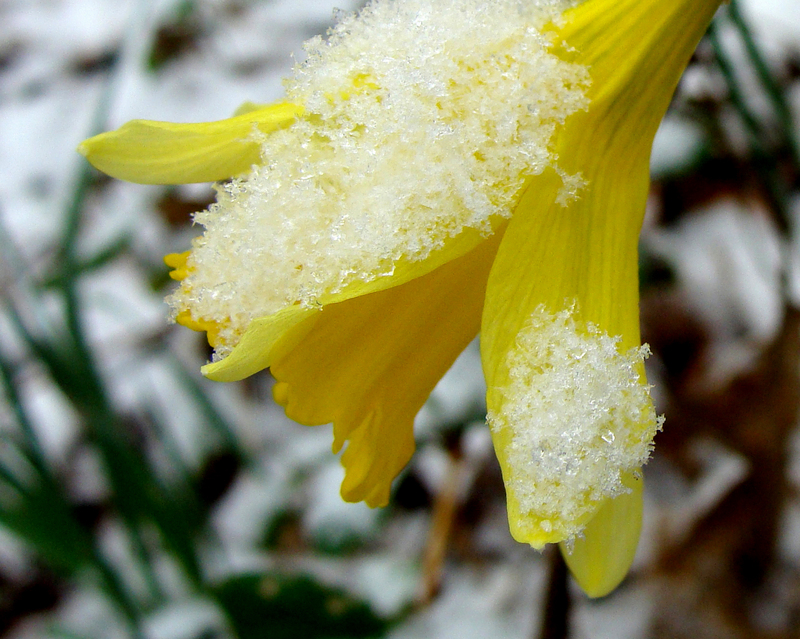 LOST HIS CROWN — Daffodil loses its rill in the sleet, rain and snow. 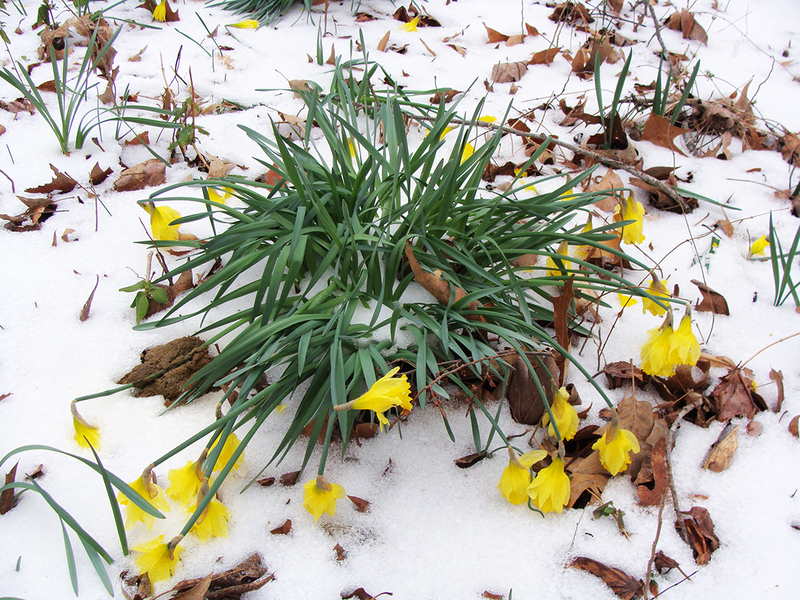 DOWN — A storm system that brought freezing rain, a few inches of sleet and snow stomped these daffodils. 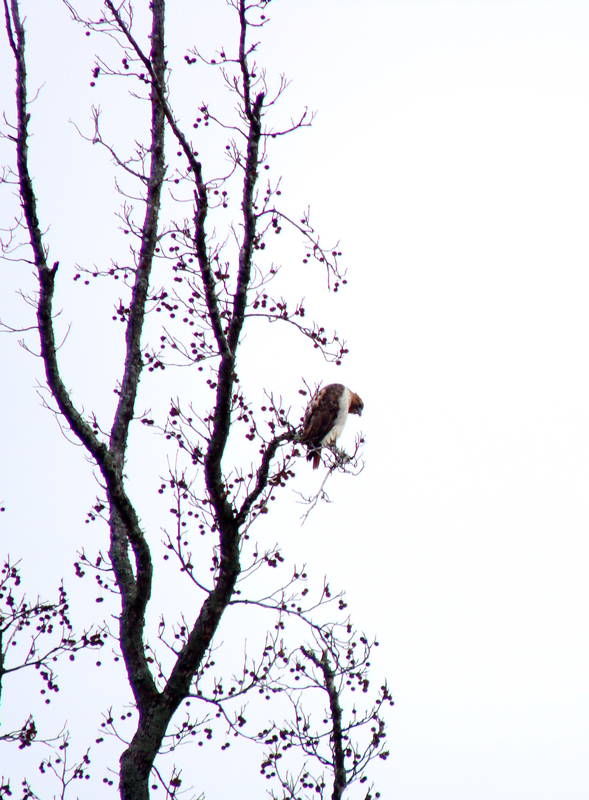 It’s so good to see our campus hawk cruising the thermals during a lunchtime photo safari. 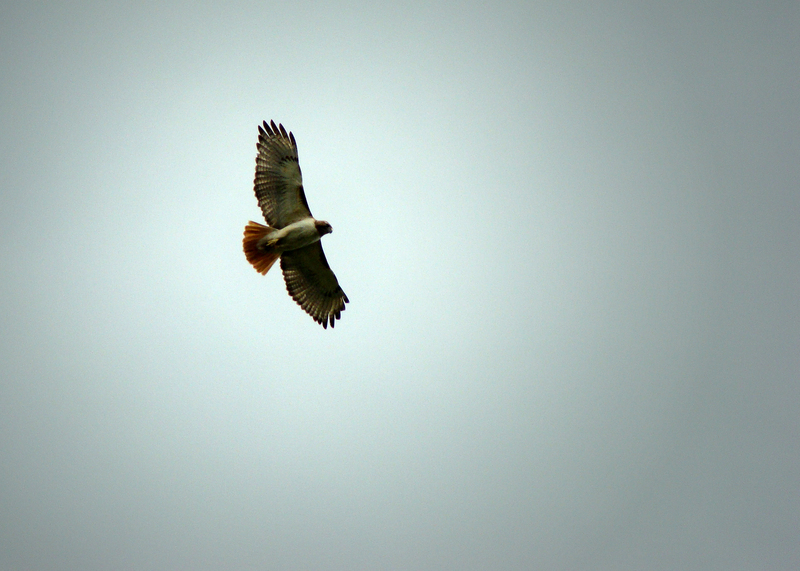 SOARING SPIRIT — The campus hawk spirals above the parking lot and green spaces on a beautiful, overcast spring day. The foliage around Little Rock is mostly green. It’s as if the drought-stressed trees that managed to retain their leaves are trying to get one last blast of photosynthesis in before autumn leaf drop. 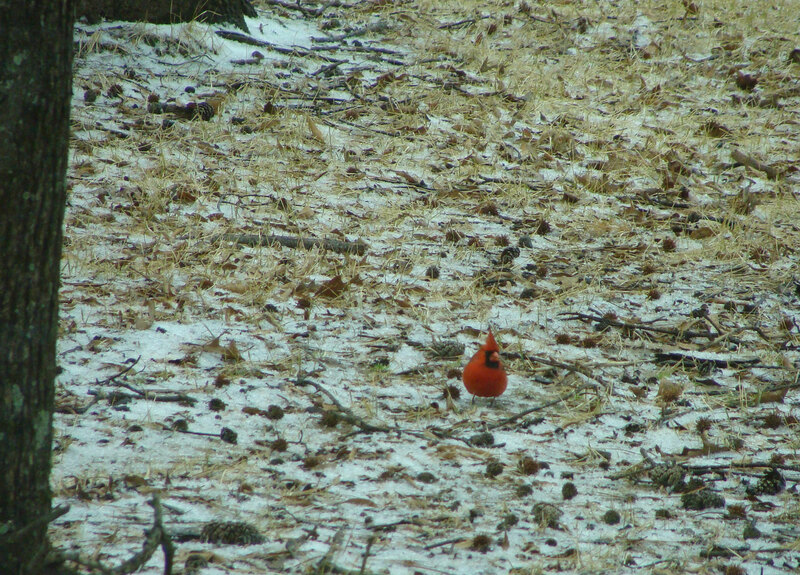 Peering out the office window, this clump of red was like a beacon in an ocean of green. 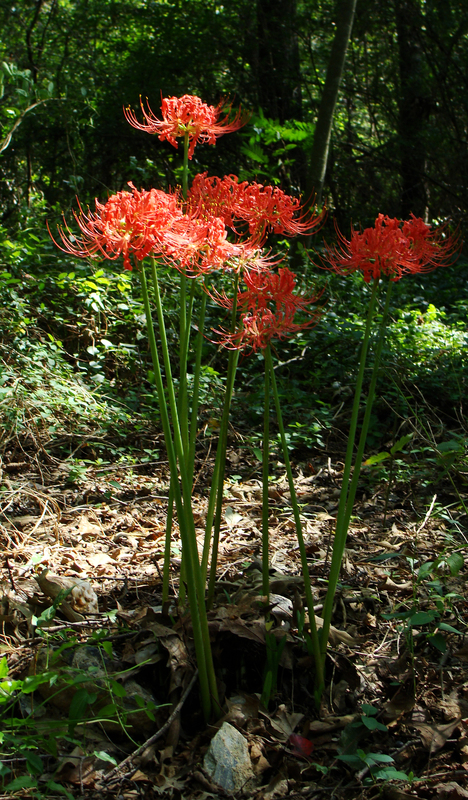 The red turned out to be a clump of lycoris, known as naked ladies or surprise lilies, since they seem to spring out of the ground with no warning. REACHING OUT — Naked lady lily reaches out with its anther and filaments. IN THE WILD — Group of surprise lilies in a green belt near Coleman Creek in the University District of Little Rock. Finally! A decent bird shot! 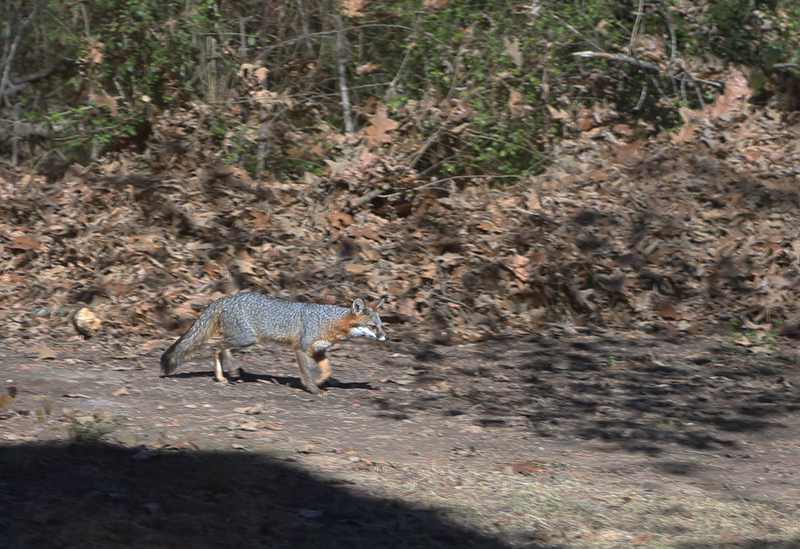 Was out shooting a work project when I heard this guy singing something that wasn’t the blues. 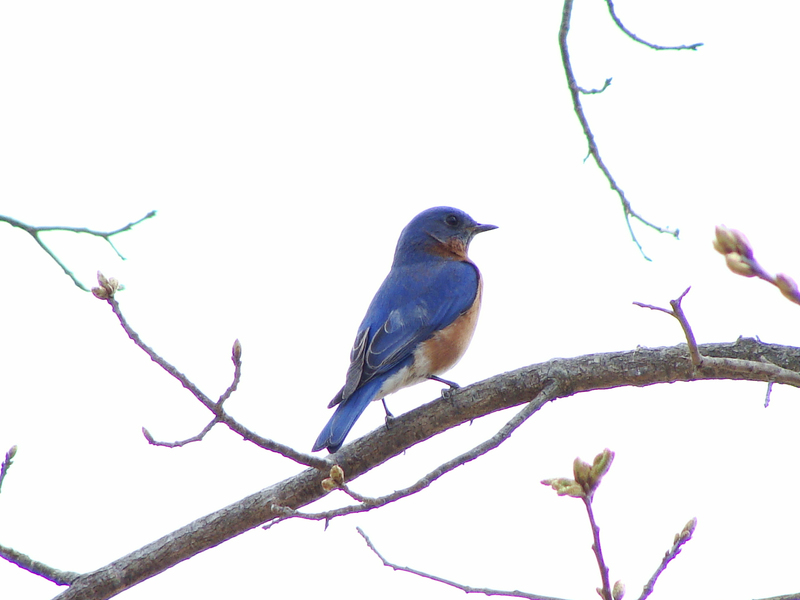 BRIGHTLY SINGING -- Bluebird sat singing in a tree in the parking lot at the University of Arkansas at Little Rock. 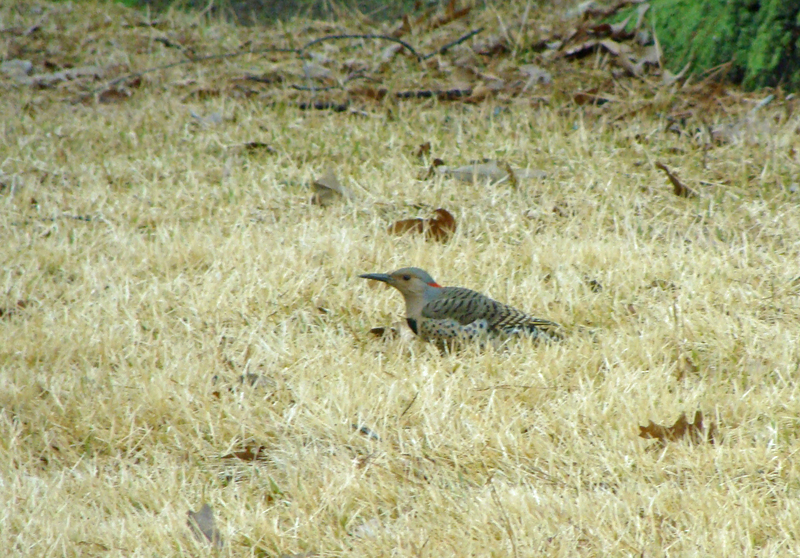 FLICKER -- A yellow-shafted flicker takes a second's break while pecking around the "back yard" at the office. 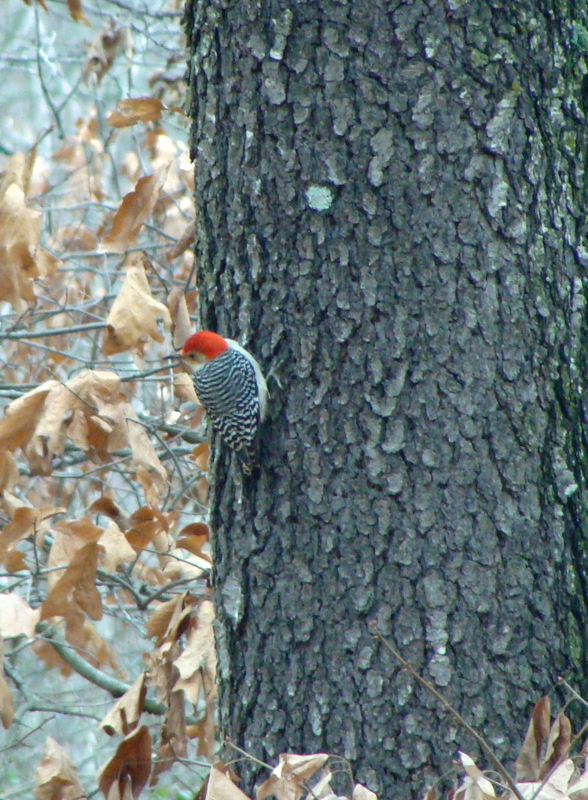 UP A TREE -- Is exactly where you'd expected a red-bellied woodpecker. 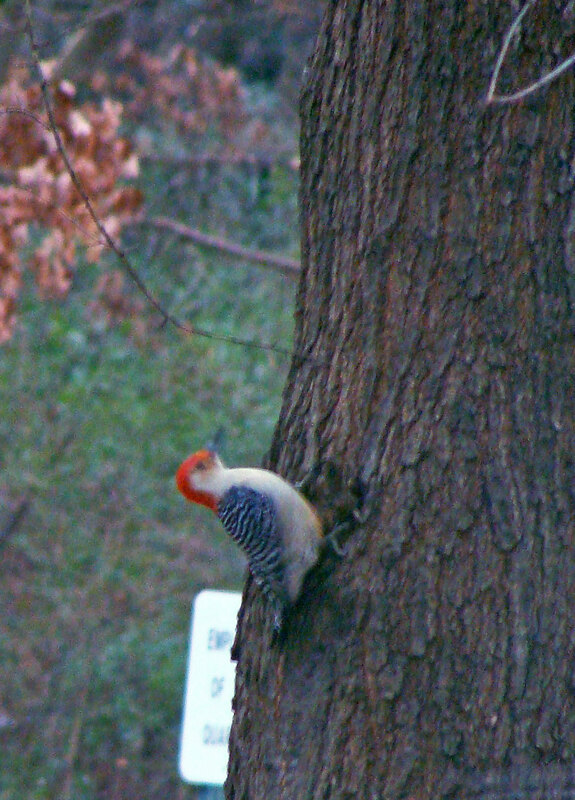 DEFYING GRAVITY -- Red-bellied woodpecker goes nearly perpendicular just because he can. 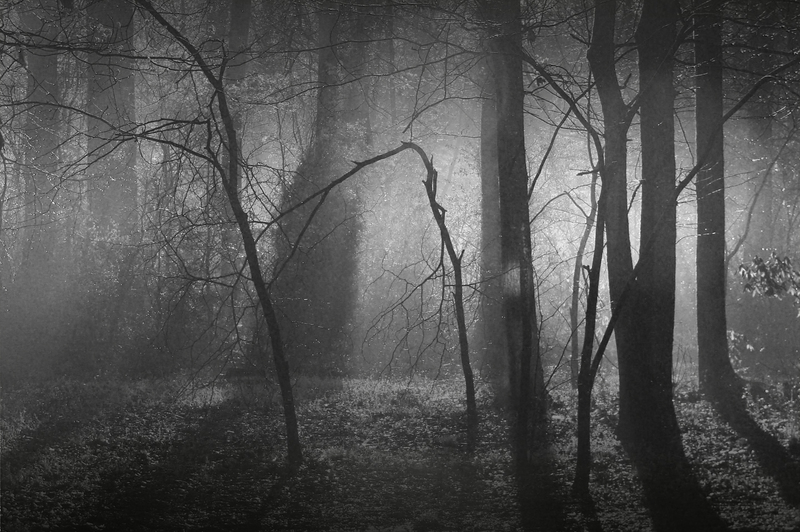 SLEETY MORNING -- Cardinal struts in a landscape of sleet, dormant grass, broken pine twigs and old sweet gum balls. … or “icing the daffodil,” which is not nearly as poetic a phrase. Still, the flower doth speak for itself. 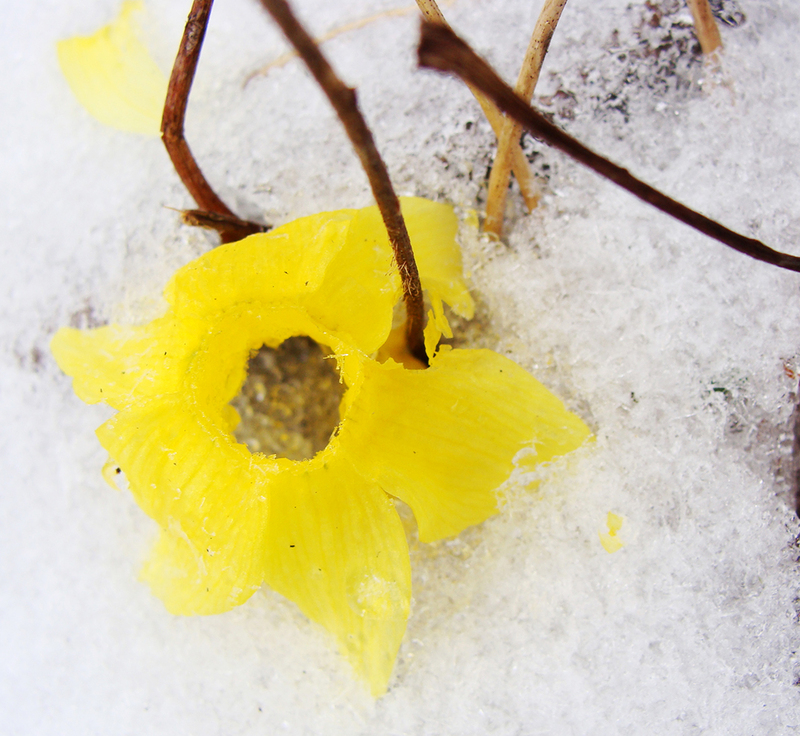 WHEN WINTER MEETS SPRING -- Although the wished-for snow day did not materialize, there was a short window between the first snowflakes and the obliterating rain where the sky's frozen lace clasped the petals of this daffodil. 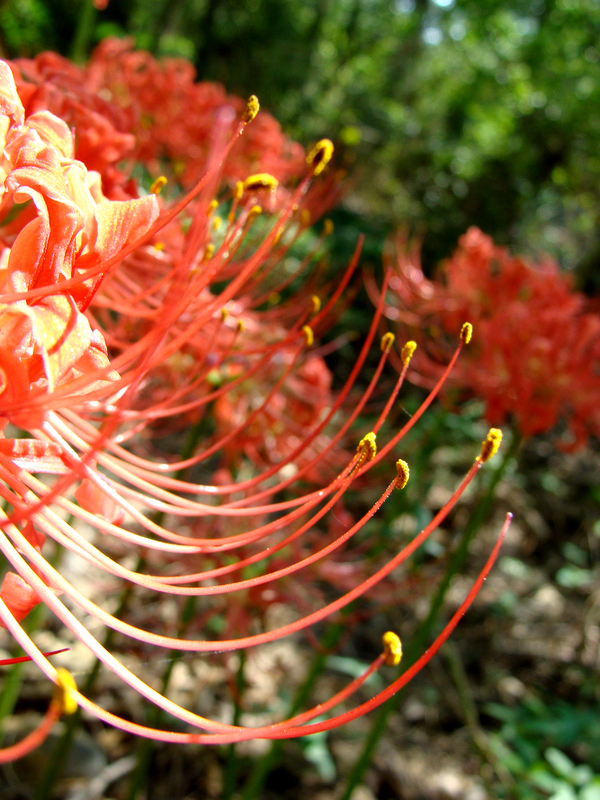 The flower was part of a cluster growing in a green space between the office and Coleman Creek.